Also for HAM Radio enthusiasts SigintOS can be a way to get acquainted with the Linux operating systems and SDR radios. SigintOS; as the name suggests, SIGINT is an improved Linux distribution for Signal Intelligence. This distribution is based on Ubuntu Linux. It has its own software called SigintOS. With this software, many SIGINT operations can be performed via a single graphical interface. Hardware and software installation problems faced by many people interested in signal processing are completely eliminated with SigintOS. HackRF, BladeRF, USRP, RTL-SDR are already installed, and the most used Gnuradio, Gsm and Gps applications are also included in the distribution. SigintOS works live from a DVD or USB memory stick. Users can also perform the installation process on the hard disk. For installation, simply download sigintos.iso from this download link and write it to a USB flash drive or DVD. It can also run smoothly on virtualization applications such as VMware or VirtualBox. Now that SDR# has switched to .NET 4.6 the plugins also have be re-compiled. After contact with Ian Gilmour (MM6DOS), he compiled a new .NET 4.6 version that is known as V6 of this create SDR# plugin. Download the plugin via the Satsignal website, copy two dll files and add the following to your SDR# Plugin.xml file. We have been relying on the .NET Framework 3.5 for quite some time until it’s no longer installed by default into the new operating systems. Microsoft also provides minimalist support of this version of the Framework on Windows 10 which handicapped the core and plugin developers in many ways. This also resulted in obscure bugs in the user base. So we moved recently the entire code base to the .NET 4.6 in order to refresh the software and make it compatible with modern operating systems like Windows 10. To my surprise I saw today (11-06-2015), that there was a new SDR# version released on there website. Below all the changes that have been done on the code since version 1337. Added additional modes: Center and Free tuning. Added more checks for RTLSDR source. - Added Auto stop when the device is unplugged. Changed the streaming from non-blocking to blocking I/O's. 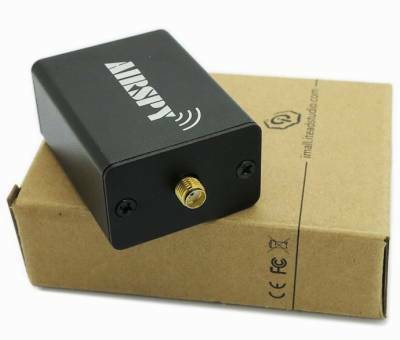 Airspy is an advanced software defined radio receiver capable of sampling 10MHz of spectrum anywhere between 24MHz and 1.7GHz – and even beyond with extensions. Visit the following website to order one. There are a 1000 units available in the first batch and they will be send to the customer the third week of November 2014. 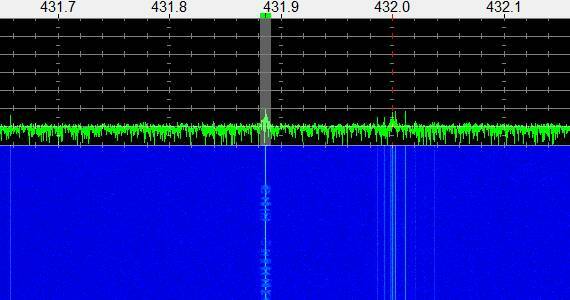 More visual bandwidth thanks to an UHF to HF down converter in combination with the AFEDRI SDR. This combination will give me a 2Mhz wide spectrum on 70cm. The idea was, to use the bandwidth of the AFEDRI SDR in combination with a 70cm down converter. 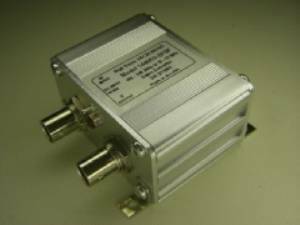 After searching the Internet I found the website from High Sierra Microwave and ordered the 432M7 SDR friendly down converters. The Model 432M7 is designed using a two stage pHEMT MMIC LNA, each stage followed by a SAW filter, which provides over 75 dB of image rejection. It has a crystal controlled PLL local oscillator at 425 MHz, a double balanced mixer and IF filter. The low frequency IF of 7 to 13 MHz is a great fit for the many HF SDR receivers, such as the Softrock and SDR-IQ series. Lets see how this down converter will perform in comparison to the FUNcube Dongle Pro+. As you may already now, I use SpectraVue together with my AFEDRI SDR and when one connects a down converter you can use the External Radio Setup. For this combination I use the following settings. Lets see what this combination brings in the next couple of weeks. I hope this will make it easier to receive all the new satellites that have there downlink frequency above 436.000 Mhz. With this combination I should be able to receive the whole spectrum from 436.000 – 438.000 Mhz.